Product prices and availability are accurate as of 2019-04-20 08:55:46 UTC and are subject to change. Any price and availability information displayed on http://www.amazon.co.uk/ at the time of purchase will apply to the purchase of this product. An upgrade to the traditional Eternity perfume, Calvin Klein Eternity Moment is a fine, flower fragrance which is fresh and light, perfect for the summertime. Developed to catch the feeling of Two souls meeting, looking at each other and touching for the very first time its a younger and romantic fragrance. 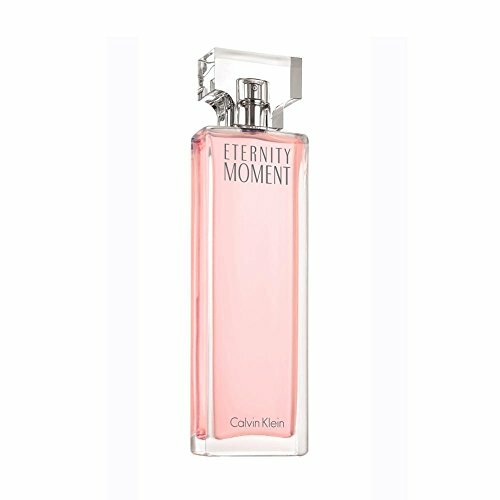 Calvin Klein Eternity Moment is a mix of fruity top notes of Lychee, Melon, Raspberry, Guava and Pomegranate Blossom, flower middle notes of Passion Flower, Jasmine, Water Lily and Chinese Pink Peony, and woody base notes of Sandalwood, Cashmere Wood, Brazilian Rosewood and Musk.Housed in a sweet glass bottle with the Eternity logo design, Calvin Klein Eternity Moment Eau de Parfum is a wonderful and sweet summertime scent for young ladies.